Tan Sri Lim Kok Thay (Malaysian, aged 67, male), appointed on 17 October 1988, is the Chairman and Chief Executive. He is also the Chairman and Chief Executive of Genting Berhad; and the Executive Chairman of Genting Singapore Limited (formerly known as Genting Singapore PLC) and Genting UK Plc. He was the Chief Executive and Director of Genting Plantations Berhad (“GENP”) until he relinquished his position of Chief Executive and assumed the position of Deputy Chairman and Executive Director of GENP on 1 January 2019. He has served in various positions within the Group since 1976. He is a Founding Member and a Permanent Trustee of The Community Chest, Malaysia. In addition, he sits on the Boards of other Malaysian and foreign companies as well as the Boards of Trustees of several charitable organisations in Malaysia. Tan Sri Lim holds a Bachelor of Science in Civil Engineering from the University of London. He attended the Programme for Management Development of Harvard Business School, Harvard University in 1979. He is a Visiting Professor in the Department of Electrical and Electronic Engineering, Imperial College London and an Honorary Professor of Xiamen University, China. 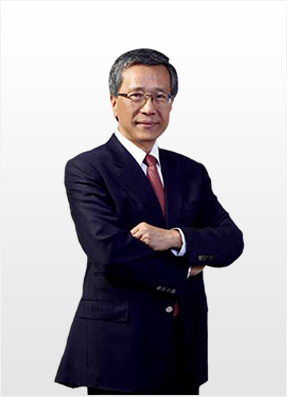 Tan Sri Lim is the Chairman and Chief Executive Officer of Genting Hong Kong Limited (“GENHK”), a company listed on the Main Board of The Stock Exchange of Hong Kong Limited. He is also a Director of Travellers International Hotel Group, Inc. (“Travellers”), a company listed on the Main Board of The Philippine Stock Exchange, Inc. Travellers is an associate of GENHK. During the period from July 2011 to March 2015, Tan Sri Lim had served as a Director and the Chairman of the Board of Directors of Norwegian Cruise Line Holdings Ltd., which was an associate of GENHK, and was listed on NASDAQ Global Select Market (“Nasdaq”) until its transfer of listing from Nasdaq to the New York Stock Exchange in December 2017. He has an interest in the securities of GENHK. The GENHK group is principally engaged in the business of cruise and cruise-related operations and leisure, entertainment and hospitality activities. In the context of the above businesses of GENHK group, Tan Sri Lim is therefore considered as having interests in business apart from the Group’s business, which may compete indirectly with the Group’s business. For his leadership excellence and significant contributions to the leisure and travel industry, he was named the “Travel Entrepreneur of the Year 2009” by Travel Trade Gazette (TTG) Asia, “The Most Influential Person in Asian Gaming 2009” by Inside Asian Gaming, “Asian Leader for Global Leisure and Entertainment Tourism 2011” by Seagull Philippines Inc., and “Lifetime Achievement Award for Corporate Philanthropy 2013” by World Chinese Economic Forum.